SHOWCASING OUR OWN WINE…MADE FROM 100% TZABACO RANCHO GRAPES! 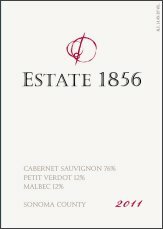 90 points for our 2011 Cabernet Sauvignon, from Bacchus and Beery!! By Janice|2017-05-19T21:03:38-07:00May 5th, 2014|Wine Tasting & Reviews|Comments Off on 2011 Cabernet Sauvignon – 90 pts! !